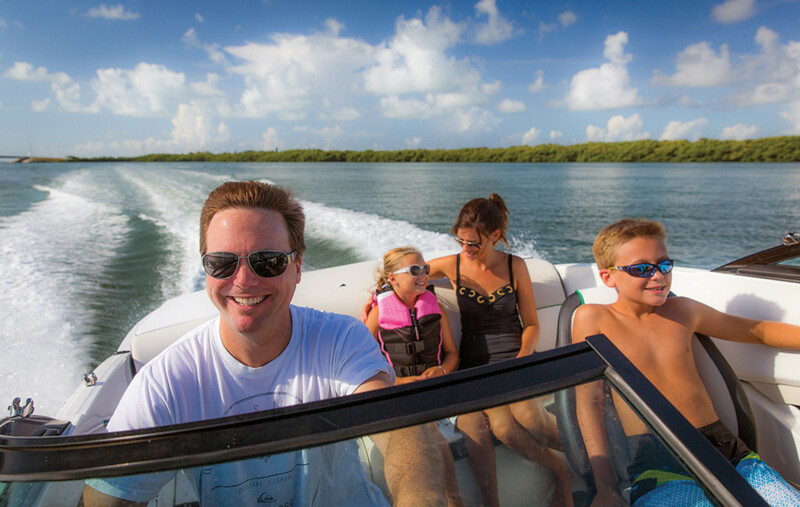 Getting middle-class families to invest in a new boat over an ever-growing variety of recreational choices is critical to the industry’s long-term health. 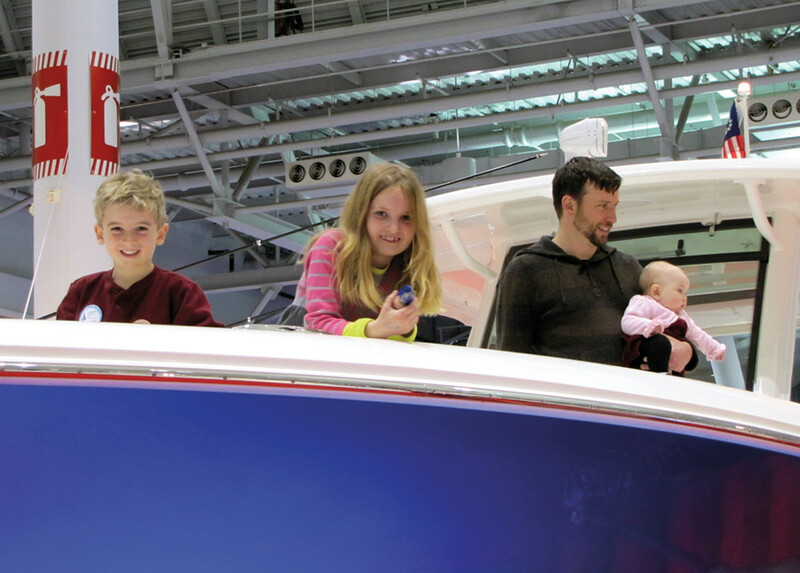 A man with a baby under his arm and two grade-school kids makes his way through the Progressive New England Boat Show. He wends his way through a section called the Affordability Pavilion, where boats can be financed for less than $250 a month. His eyes light up momentarily as he pauses next to one of the boats, looking at the price and the breakdown of monthly expenses associated with it. His bigger kids scramble aboard after removing their shoes — an indication that this isn’t their first show. The father follows suit and begins checking out the helm, the baby quietly staring around under his arm. It’s a scenario that plays out at boat shows across the country, and an issue the industry is hard-pressed to resolve. Executives spend a lot of time contemplating whether boating is affordable — which, of course, is a relative and thus unanswerable question. But it’s an issue the industry continues to grapple with as new-boat sales remain at about half their prerecession levels, even as the economy improves. There are several theories about why this is happening. The price of boats has outpaced inflation, Brunswick Corp. CEO Dusty McCoy often points out during shareholder meetings. That has led to a mandate by Brunswick, the country’s biggest boatbuilder, to bring out each new boat at the same price or less than the model it is replacing. 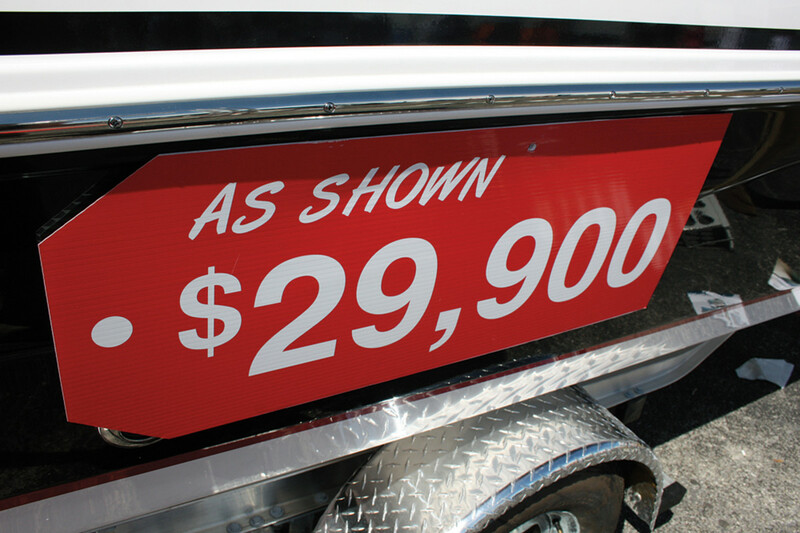 A trend at boat showsis for dealers to display pricing that might grab consumers’ attention. There also has been a shift in lending since the economic crisis. The widely available credit prior to the bust, as thousands of Americans pulled equity from homes for such items as boats, doesn’t seem to be coming back anytime soon — a good thing, many feel, but still impactful for the industry. That might not just be a shift in lending standards, but also a shift in borrowing demand, many experts say, with Americans more risk-averse in the ways they incur debt. Add to that the growing list of activities many families find their children involved in, and the value equation for buying a new boat becomes even more challenged as time becomes scarce on weekends because parents are shuttling their children from one activity to another. Yet the industry is constantly pointing to data that show boating participation is rising and is reaching record numbers. National Marine Manufacturers Association data show that boating participation was up in 2013, with 88.5 million Americans getting out on the water at some point that year, compared with 87.8 million the year prior. (2014 data should be released in late May, but NMMA spokeswoman Ellen Hopkins says the numbers are expected to be about flat, compared with 2013.) As a reference point, the number has fluctuated between roughly 61 million and about 71 million from 1990 until 2010, when it jumped nearly 10 million, to 75 million. A used boat is the only option some will consider. Americans remain risk-averse to big-ticket items despite the improving economy. The record numbers of adults (18 and over) enjoying themselves on the water indicate that interest has not waned and is actually increasing. Boat manufacturing screeched to a near halt in 2009 during the recession and has slowly been ramping back up. That means the amount of relatively new, used product is scarce. But the tipping point for new-boat sales might still be years away, given that boats last for generations. Affordability is a relative term, but McCoy thinks boatbuilders have priced out the middle class. “New-boat sales in America are hurt by the ever-increasing price over time, where price increases have significantly outpaced normalized inflation,” McCoy told investors and analysts during the Raymond James 36th annual Institutional Investor Conference in New York in March. If McCoy is right, Brunswick — the builder of 14 boat brands marketed in the United States alone, including Sea Ray and Boston Whaler — could be poised to help shift the ratio of new versus used boats sold by about 2020. Today only 18 percent of boats purchased are new; the other 82 percent are used, Dammrich says. 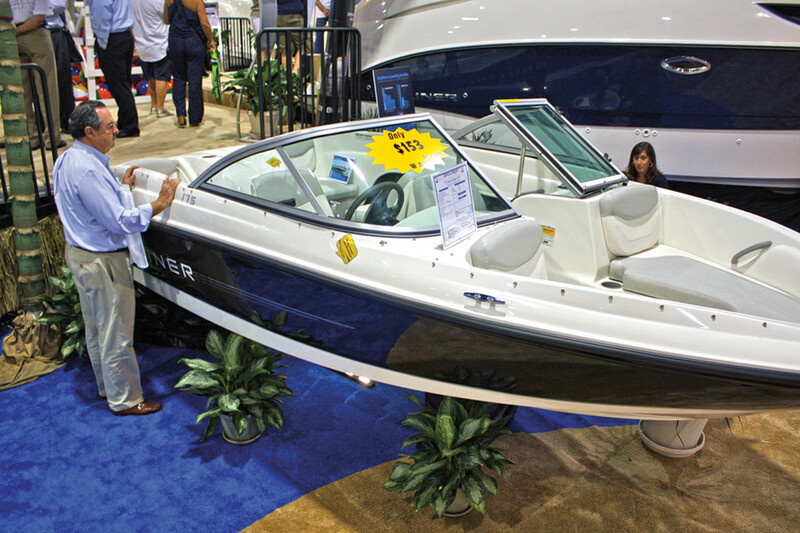 Bayliner’s Element line was created to specifically target entry-level buyers. Price is one reason the pontoon boat segment has experienced the only true rebound — returning to prerecession levels as other segments remain about half of what they were before the downturn, speculates David Foulkes, chief technology officer at Brunswick Corp. and vice president of product development, engineering and racing at Mercury Marine. Increasing numbers of models are being introduced as value options for those just getting into boating, such as the Bayliner Element and the Scarab jetboat. But Joe Lewis, owner of Mount Dora Boating Center and Marina in Florida, isn’t convinced those entry-level boats are actually moving the dial. Chaparral’s parent company, Marine Products Corp., also recently introduced a jetboat line called Vortex. “The average H2O buyer is more likely to be a first-time buyer than the buyer of another Chaparral product, so we’re bringing people into the market that way,” says Jim Landers, vice present of corporate finance, during a conference call to discuss earnings in October 2013. A young family that came to Lewis’ Mount Dora Boating Center and Marina to buy their first boat — a Monterey — didn’t have the same set of issues some families face when getting into boating. Matt and his family had the cash to buy the boat and keep it up. But after almost a year, the family had logged just seven hours on the water, Lewis says. It’s one of the advantages of being set up on the water in a marina, Lewis says. “They show up to use the boat. It’s a 5-minute-greeting conversation — nothing more than engaging with the customer when they come to visit.” It’s more challenging for highway dealers to know whether customers are using their boats, he says. Matt’s family is pretty typical of new boating customers, Lewis says. Their time challenge came when their son made the traveling baseball team. Part of that leads back to Discover Boating, the industrywide initiative designed to get lapsed boaters and first-timers to take the plunge. “You take your kid to baseball, hockey, basketball, dance, gymnastics — are you really doing anything with your kid? You take your kid boating, you’re doing something with them. That’s part of the message we need to get out,” Dammrich says. Lewis says that about half of the boats he sells are kept at his marina and about 40 percent of those owners are what he would call active boaters, which he characterizes as people who use their boat on a monthly basis. Another 30 percent are what he calls casual, meaning they get out maybe once every quarter. About 75 percent of first-time boat buyers buy a used boat, Dammrich says. That can make it difficult to drive the main effort of Discover Boating, which is to ensure boating is as easy as possible and that boaters have good experiences and that everything on the boat is working. Dealerships should, like Lewis, create opportunities for people to use their boats, through rendezvous opportunities and other events. But this challenge is compounded when buying a boat from a neighbor without that dealer support. “Over 70 percent of that business will never see a dealership,” Dammrich says. 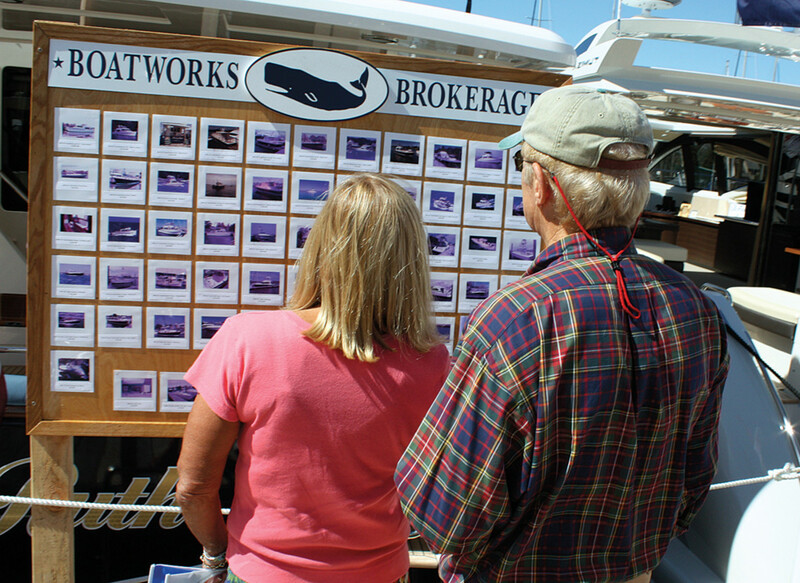 Realizing he was losing customers from those driveway sales — and more important, losing boaters who were attracted to the lifestyle but lacked the dealer support to make the experience a good one — Lewis created a program about a year and a half ago for people who don’t know anything about boats. That’s another way Discover Boating is helping, says Lewis, who serves as chairman of the Grow Boating initiative and Discover Boating. Partnering with marine data analyst Info-Link, registrations showed that first-time boat buyers who had visited the Discover Boating website prior to purchase were more than twice as likely to buy new as someone who hadn’t been on the Discover Boating website. Used boats have been the No. 1 way to introduce people to boating, agrees Matt Gruhn, president of the Marine Retailers Association of the Americas. “Most people buy a used boat and then step up to a new boat after that,” Gruhn says. But the growing popularity of rentals, boat clubs and fractional ownership is giving new boaters alternate ways of coming aboard. “Dealers around the country have really spent time exploring those options and figuring out how they can provide those access points to people that are interested in getting out on the water outside of ownership,” Gruhn says. Some dealers have sought partnerships with boat clubs so they can provide such access points. “That kind of partnership is something we need to explore and enhance for our industry,” Gruhn says. If people want to learn to ride motorcycles, there are a plethora of opportunities to learn to ride. But if you do a quick search for local opportunities to get hands-on powerboat training, they’re nearly nonexistent, Dammrich says. One of the things Foulkes is tasked with is making it easier to be a boater and designing new boats with features such as control systems that make docking easier so first-time boaters are less intimidated by the process. The industry doesn’t have all the solutions yet, but Brunswick is working aggressively on innovation, technology and understanding the consumer to make boats more reliable and more intuitively designed. Awareness is the key, Dammrich says. “We just need to keep talking about it — boating, and what the overall benefits are.” If people realize the benefits, boating will seem more affordable, because there are access points at a whole range of income levels, he says. Editor’s note: The family in the beginning of this story is the author’s, who would like a new boat, but is told by her husband that they have to buy a roof first.